Internet freedom advocates are finding creative ways to get their message out to the masses. The latest unique effort comes from Reddit founder Alexis Ohanian and online advocacy group Fight for the Future. Their plan: a "Bat-Signal for the Internet." According to Forbes, once it launches next month it will provide participating website administrators with code they can add to their sites that can be triggered in the case of a freedom-infringing episode. The code will add to the sites widgets or banners that ask users to do things like call politicians or boycott companies. It supposedly even could trigger another blackout similar to the one that occurred in January when Google, Wikipedia, Craigslist and other sites went dark and posted messages in protest of SOPA. Legislation such as SOPA, PIPA, and CISPA, which threaten the freedom of the Internet, seem to be popping up like a game of Whac-a-Mole and squashing them means online advocates rallying their followers. This is apparently another way to do it. 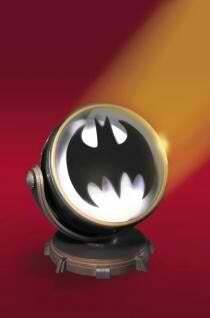 "People who wish to be tapped can see, 'Oh look, the Bat-Signal is up. Time to do something,'" said Ohanian. "Whatever website you own, this is a way for you to be notified if something comes up and take some basic actions ... If we aggregate everyone that’s doing it, the numbers start exploding." According to Forbes, Fight for the Future and Ohanian have been focused most recently on defeating CISPA, the Cyber Intelligence Sharing and Protect Act. The bill, which was passed in the House of Representatives last month, aims to protect the U.S. from cyber terrorism and other online attacks. One of two versions of the bill will likely come up for a vote in the Senate early next month. The problem with CISPA is it includes a provision that would let companies share users' private data with government agencies, and not just regarding threats of cyber attacks; companies will now be able to share users' private data in the event of "computer crime," exploitation of minors, and to protect individuals from "the danger of death or serious bodily harm." This broad definition has privacy watchdogs up in arms. Rainey Reitman, activism director for the Electronic Frontier Foundation, is an outspoken contributor to the CISPA debate. In a radio debate last month, Reitman said that while CISPA proponents employ rhetoric that the bill will "fend off a cyber Pearl Harbor," what they're really doing is inciting fears of security threats when, in fact, such concerns have existed for years. "I do think there is a need for companies to get more information from the government in a timely fashion. The problem that arises with CISPA is that it does so much more than that," she said. "It also opens the floodgates for companies to intercept communications of everyday Internet users and pass unredacted personal information to the governments," she said, adding that several amendments to the bill would have addressed such concerns but they never made it to the House floor for a vote. Reitman says civil liberties groups like the EFF don't want cyber security programs to be a method by which intelligence agencies or the military can garner information about American citizens. According to Reitman, CISPA would let companies bypass all existing privacy law and pass citizens' personal data to the government even if there’s a weak excuse that the information is related to cyber security purposes. She says, rightly, that if the government wants personal information about users of services -- such as the content of emails -- it should have to go to a judge and get a warrant. A group of security experts, professors and academics and engineers have written an open letter to Congress, stating their criticism of CISPA. The Obama administration also has threatened to veto CISPA if the measure is approved by Congress.